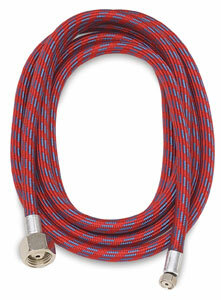 1/8" inside diameter hose with complete fittings. Rated 100 PSI. For use with Paasche and Binks airbrushes.